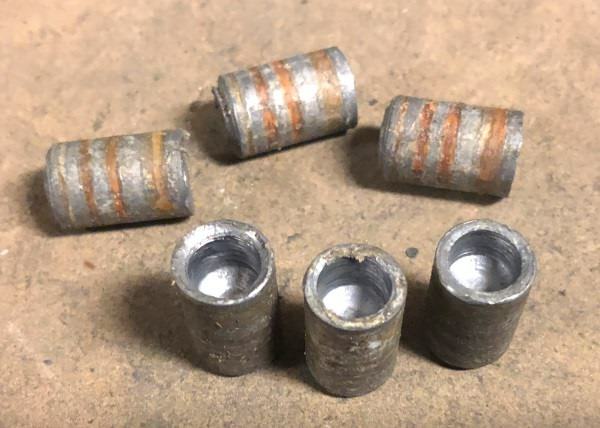 I've been swaging 200gr HG68 .45 caliber LSWCs into an outside-lubed heel-base bullet for loading in .44 Colt, but I am interested in maybe making my life easier by using hollow-based .44 bullets. I haven't found any commercially available; perhaps I am not looking in the right place? I can always come up with a set-up to swage my own, but I'd really like to know if any of you have tried this, and how well it worked before I go to all that trouble. 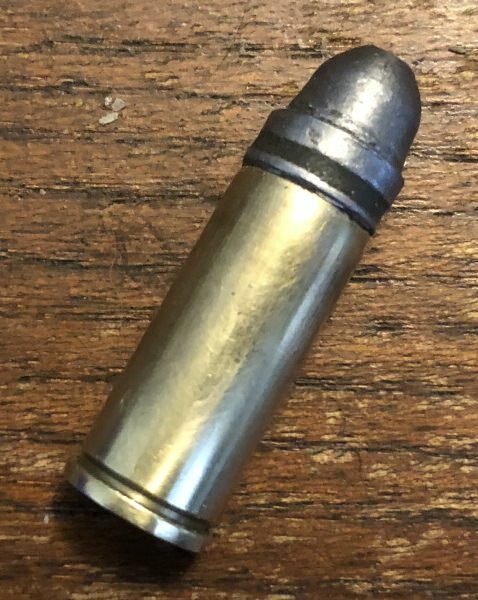 Re: Hollow-base bullets for .44 Colt? OK, since there were no responses to this thread I tried it. I made a swage-block and a male punch to produce the hollow base. I had some random 225gr. wadcutters around and tried it out. Pretty quickly I was producing credible HBWCs. Since punching the hollowbase elongated the bullets I decided to seat them partially outside the case like a conventional bullet. The picture shows the basic tools- the swaging block, the male punch and the punch I use to drive the swaged bullets out of the block. Naturally there is no load data for these, so after some research and more math than I really like to do I settled on 5.0gr. of Unique as a starting load. I loaded a box of ammo and headed to the range. 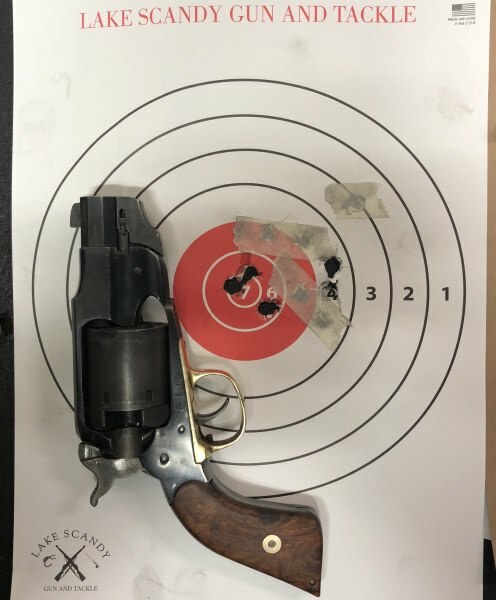 Overall it worked- a couple of bullets were yawing when the hit the target at seven yards and one full-on keyholed, but the rest flew straight and hit true. The 5.0gr load actually may be too light; I plan to bump it up a little and see if I can't get better skirt expansion. Accuracy was quite adequate when I did my part. These guys make a couple hollow base .44's. Don't know if you still need any since you figured out a solution. 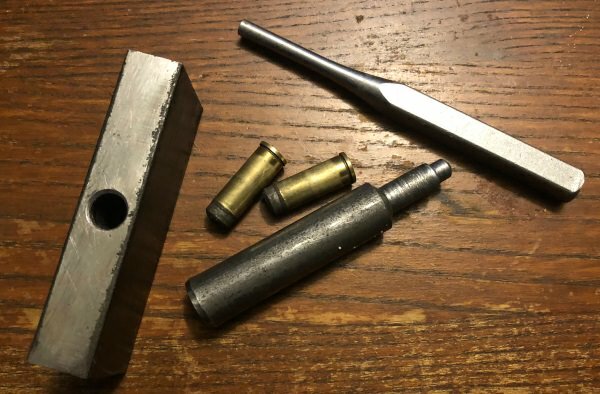 Well I used my swaging dies and press to make a conical hollow based .45 bullets for .45 Colt revolvers. I did use 230 grain RN and a 255 grain SWC that also got swaged into a conical hollow based bullet. both bullets worked well and increased accuracy in all guns tested.